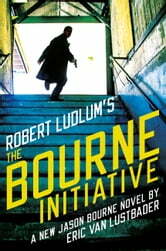 Jason Bourne returns in this stunning new thriller from Eric Van Lustbader, continuing Robert Ludlum's classic series. General Boris Karpov, head of the feared Russian FSB, is dead. But Karpov has reached out from the grave with an unstoppable cyber operation he conceived before his murder, aimed at the heart of the United States--a way to steal the president's nuclear launch codes. Who has taken over the operation? Karpov trusted only one man: Jason Bourne. But can Bourne be working against his own country? The U.S. Government is convinced of his treason, and is doing everything in its power to kill him. Flushed from cover and gravely wounded, Bourne's only hope is to join forces with his bitterest enemy: a powerful Somali terrorist named Keyre, and his protégée, the Angelmaker. If he hopes to survive, Bourne has no choice but unravel the mystery of Karpov's last legacy--a weaponized code that may bring about the unthinkable: a violent end to America. If you think you have read another book that you could not put down, I urge you to read this one. Having read many of his books, I cannot imagine where and how he manages to twist and turn the story so masterfully. Great read. Enjoy! The book was great. I highly recommend it. It was a little slow at the beginning. Great really liked this book. So many twists and turns no way to second guess the author at all. Can't wait for the next book in the series. Good suspense developed, with a twisting plot that keeps revealing surprises. The many characters present a bit of a challenge to keep everyone in role Some dark events that lead to a lot of Typical Ludlum - Bourne action! These books leave me entranced. I can’t put them down. Again Bourne is tested to his limits and finds a way to come through.